RS: Catherine Snow is an education professor at Harvard University and also works with a group called the Strategic Education Research Partnership. She's led the development of a classroom program for teaching academic language. CATHERINE SNOW: "The problem we were trying to address was the widely recognized difficulties that middle school students -- students in grades six, seven, eight -- have in understanding the texts they are asked to read in science and in social studies and in math. The teachers in those grades in urban schools -- and particularly in the Boston public schools, where we were engaged in a partnership relationship -- were telling us that the students could read the words perfectly well. But they would get to the end of a paragraph and not know what the paragraph said because they just didn't have enough access to, among other things, the academic vocabulary, the words in the text." RS: "So what is an academic vocabulary, and how different is it from the words we use everyday?" CATHERINE SNOW: "So, for example, they're words like hypothesis, words like evidence, words that have to do with how you argue about things -- confirm, deny, affirm, contradict. Words that have to do with making meaning from texts, so interpret, estimate. "So these are words that are not typically used in oral conversation, although they might be by educated people. But they're words that many kids attending urban schools don't encounter in their conversations with their parents or even necessarily in classroom discussion. And so they need explicit instruction in these words." AA: "And especially non-native English speakers, too. For them I suppose it's especially difficult." CATHERINE SNOW: "Non-native English speakers have greater difficulty with these words because even if they are having interesting conversations with their parents at home, they're not likely these words in English, that's right. "Well, what we decided to do was go beyond the kind of vocabulary instruction that we know doesn't work very well. A list of twenty words, study the definitions, use the words in a sentence, take a quiz on it at the end of the week, then next week go on to another twenty words. That doesn't work for lots of reasons. It's easy enough to do it, and to forget those words. In order to have a high probability of learning a word, you need to encounter it fifteen, twenty times. "Typically these are words that have slightly different meanings in different contexts. So it's important to encounter them in different content areas. If you think about a word like variable, in math a variable is, of course, a technical term. But in history you might talk about variable responses to the change in government. Or in science you might talk about a variable in an experiment. So recurrence in a variety of contexts. Opportunities for students not just to read the words and write with the words, but also to use them." RS: And that was the big challenge, she says. How do you ensure that students want to use these words? CATHERINE SNOW: "So what we did was develop a series of discussion questions. These are dilemmas. They're issues that we think are important in any case for future citizens to have opinions about. So things like, should physician-assisted suicide be legal? Should voting be mandatory? Some are them are sort of moral dilemmas. "Some of them are dilemmas that are a little closer to kids' own lives, like should junk food be banned from school lunchrooms or should school uniforms we required. And we create contexts for students to discuss these topics and to debate about them, and then to write position statements on them, their own taking-a-stand essay at the end of the week, in which they argue for one position or the other." 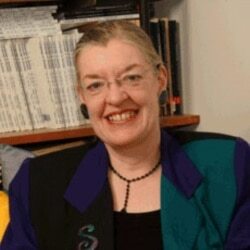 AA: We'll talk more with Harvard education professor Catherine Snow next week. In the meantime, teachers can learn more about her program for developing academic language at wordgeneration.org. RS: We'll post a link on our Web site, voanews.com/wordmaster. And that's WORDMASTER for this week. With Avi Arditti, I'm Rosanne Skirble.